UKIP and the far-right have received an almighty drubbing. Pic: Defeated Dudley UKIP leader Bill Etheridge. Anti-racist campaigners are jubilant after the hard right were wiped out in last night’s local elections. Thursday’s English local elections were a disaster for UKIP, with the party winning just two seats in the council elections – and losing 92 councillors (so far). That’s despite leader Gerard Batten’s hopes that the party could retain seats and “win a few more”. Campaigners say the party has lurched to the extremes of crude anti-Muslim rhetoric under Gerard Batten – its fourth leader since Nigel Farage – saying as recently as February that Islam is a ‘death cult’. It seems open racism doesn’t wash with British voters. Analysis by anti-fascist group HOPE Not Hate shows the scale of UKIP’s collapse. In Rochdale, one of its priority areas, the party failed to win seats, despite ‘cynical’ attempts to exploit the reverberations of the town’s grooming scandal. The party’s candidates averaged 13.5%, a slump from 28% in 2014. 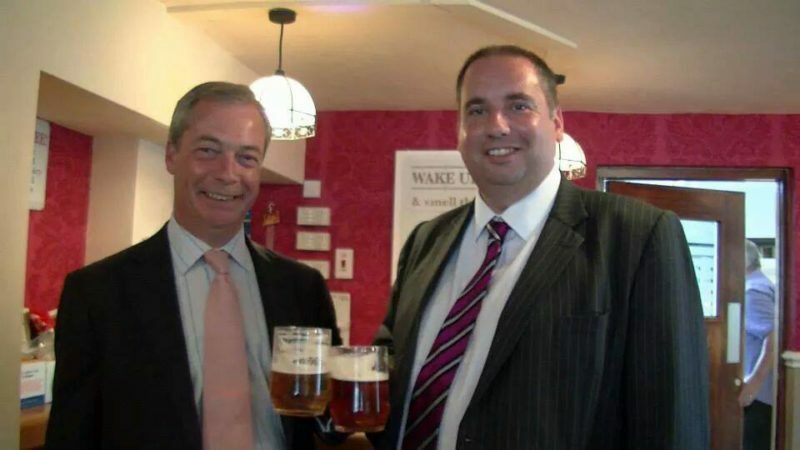 In Dudley, UKIP has lost all of its five seats, including its scandal-prone local leader Bill Etheridge. Etheridge won his seat on the council in 2014 with 1,536 (40.5%) of the vote. The 498 (15.1%) he received this time is a resounding drop. UKIP candidates as a whole in the area averaged 10% of the vote, a drop of 23% drop from 2014. Etheridge hosted a speaker from the far-right Alternative fur Deutschland (AfD) on Tuesday – just two days before the vote. And in Swindon, where UKIP contested every ward, the party’s candidates came in last place in 10 seats, with an average of 4%, down from 22% from 2014. (Amusingly, Swindon was one of the trial areas for voter ID – something the party strongly supports). But the locals were also a disaster for other far-right parties, including the British National Party and Anne Marie Waters’ For Britain Movement. “We have campaigned hard against UKIP in key areas and we welcome the rejection of Bill Etheridge in Dudley and the rejection of UKIP’s attempt to exploit the grooming scandal in its key target of Rochdale. “Both Batten and For Britain’s leader Anne Marie Waters have appeared in a promotional video for a far-right rally outside Parliament this weekend. Despite Morrissey’s backing, For Britain fell off a cliff, coming last in several of the 15 seats it was contending. “As they are beaten at the ballot box, the threat now from hard-right extremists is a return to the streets. There is also an increasing threat online, as anti-Muslim activists exploit social media to manipulate and spread their message, as well as from far-right terror attacks, with killers like Darren Osborne rapidly radicalised after reading far-right material online. Read HOPE Not Hate’s full analysis.